Art connoisseurs and curious travelers alike will find much to admire on this small-group walking tour of Montreal. 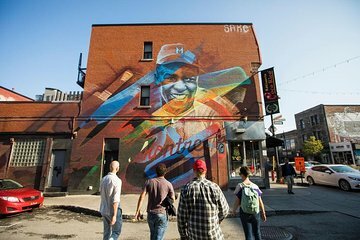 A guide shares local knowledge of the city’s best street art, covering some 35 murals and other artworks in just a few hours. You'll meander through the hip Plateau neighborhood—a great way to experience Montreal off the beaten path.